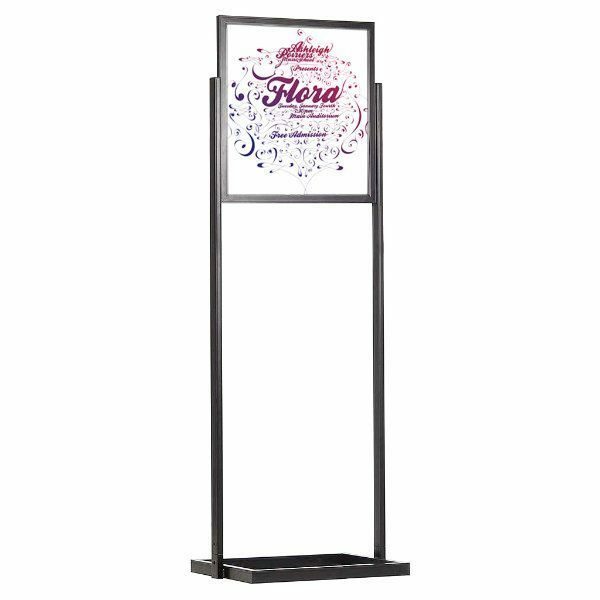 We do cut across all boundaries to meet the business needs of price sensitive customers and produce this low priced poster stand . We do our best to assure the best ensured quality for such a low priced product. However, on closer inspection you may notice slight cosmetic imperfections, such as corrosion or oxidation on the welds and corners. 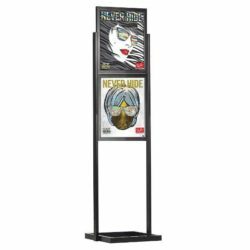 This double-sided poster stand holds two 22″ wide x 28″ high posters back-to-back. 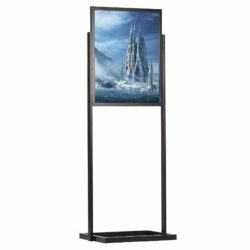 Simply load and unload your posters from the top slotted frame with no tools required. Two clear PET covers included to protect the poster from dust and damage. The rectangular base and levelers on the base provide stability on uneven surfaces. 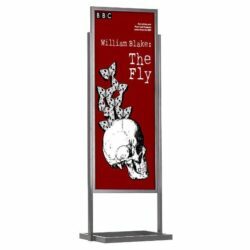 The black PVC in between the two posters prevents light transmission and enhances visibility as well as keeps the poster tight and taut. 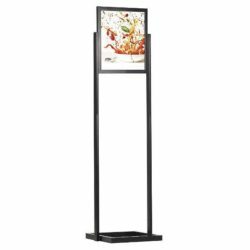 If you are looking for an affordable yet functional poster stand, this low priced poster stand is the very thing for you with its black color finish harmonizing in many environments. Recently purchased the stand, set it up in just minutes, very stable and easy, loved it. The sign holder arrived ontime and just as advertised. It took about 1 minute to put together and it looks great. Not much else to say.